In the form of monumental knitting, 24 participants will show the piece Uplift, with a clear connection to the landscape in which the participants live and work. Västernorrland with the High Coast is the world´s greatest geological uplift. 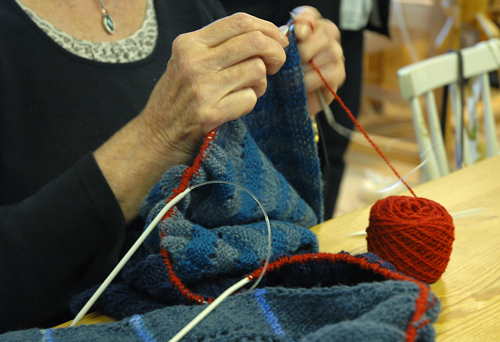 Uplift is a work in which the body's pace, here in the form of knitting, control the tempo of the work. 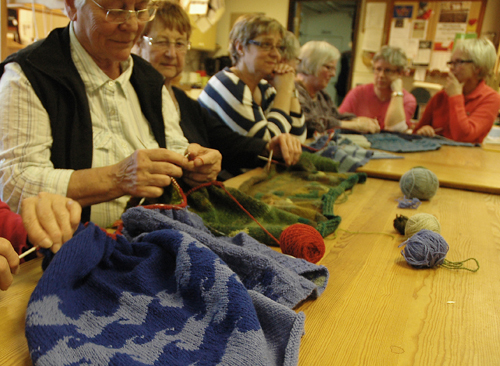 May 23 2012, participants from Härnösand knitted their fourth of the work together.